You know I always try to keep recipes as healthy as I can, but sometimes I just have to make something very indulgent to share with friends. 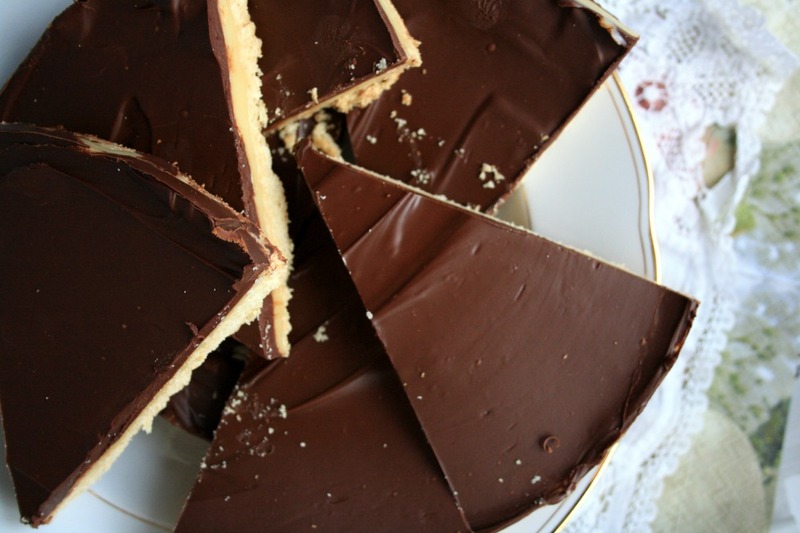 I tend to not share buttery, glutenful sugarbomb dishes like this, but since Christmas is coming up I decided to share this one with you anyway: millionaires' shortbread. 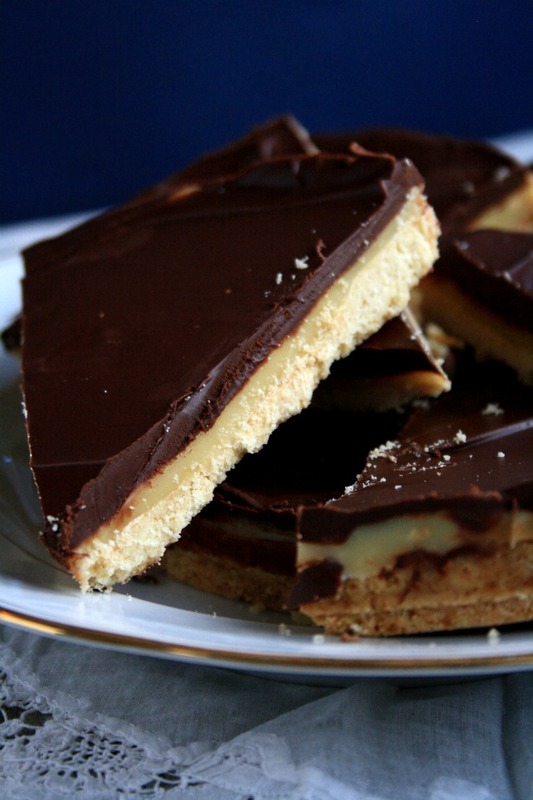 There is a reason this is called millionaires' shortbread - it is the richest thing you'll ever eat in your life. 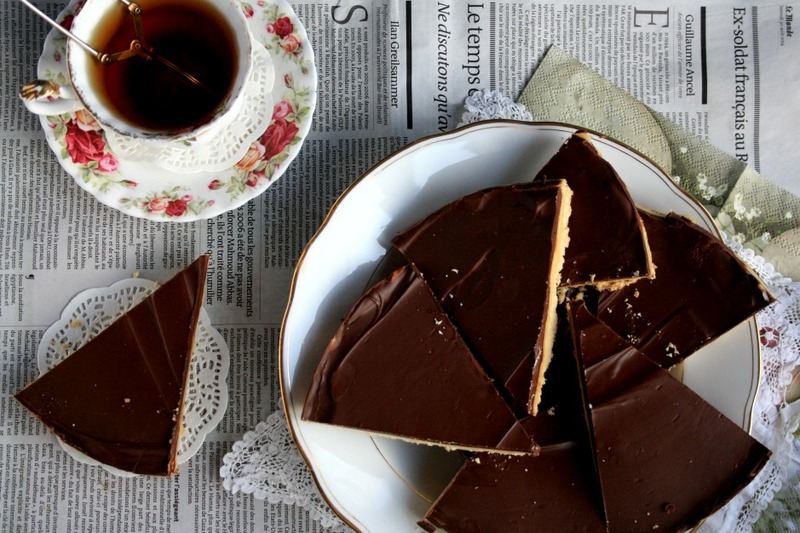 This treat exists of shortbread covered with caramel and chocolate. Personally, I cannot eat one serving by myself. Not even half a serving - this recipe is supposed to serve 4 but that is just ridiculous. I recommend making 12 pieces out of it, and then it is still more than enough. People always love it when I make this for them, though. I even made it on request for my sister's wedding a few years ago. If you want to be loved, make this stuff. Preheat the oven to 385 degrees F or 190 degrees C.
Cut butter into pieces, and mix through the flour with a wooden spoon. You can also use your hands. When this mixture resembles wet sand, add sugar. combine well, and press into a greased cake pan. Bake for 20 minutes. In a non-stick pan, add butter, sugar, and sweetened condensed milk. Put on low heat, and stir continuously. 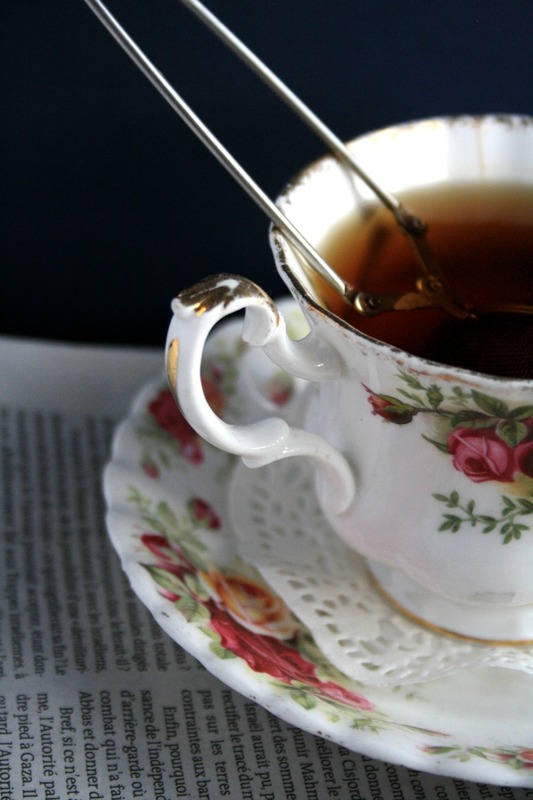 This is extremely important, because you do not want your caramel to burn. The best way to do this is to keep scraping the bottom with a heat-proof spatula, and keep doing this till the very end. Cook for approximately 10 minutes, until the caramel is rather thick and does not stick to the pan. Once the shortbread comes out of the oven, cool down for at least 10 minutes. Then cover with caramel, and let this cool down completely - for approx. 30 minutes to an hour. 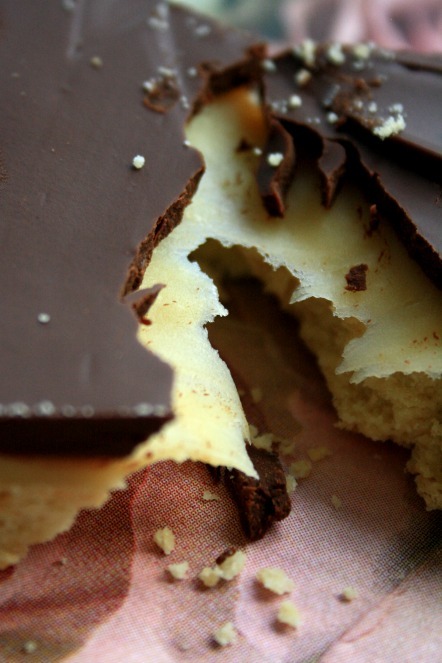 Melt chocolate and butter au bain marie or in the microwave until completely smooth. Cover the caramel layer, and refridgerate until set. It takes about an hour to assemble the whole thing, but your family and friends will love you tons. If you want more recipes like this for the holidays, let me know!